SOCHI, Russia (AP) — Russians danced, drank and celebrated their national soccer team for three delirious, dreamlike weeks. Now it's time to get back to reality. Russia entered the World Cup without having won a match at the tournament since 2002 and with the lowest ranking of the 32 teams, but suddenly the host nation couldn't stop winning. Saudi Arabia and Egypt were swept aside in the group stage. Spain, the 2010 champion, was played to a standstill and beaten on penalties in the round of 16. Only Croatia, following another penalty shootout in the quarterfinals on Saturday, was able to knock the Russians out of their own tournament. Since the opening match nearly a month ago, Moscow went almost without sleep as fans danced through the night on the streets near the Kremlin, locations where police would normally break up unauthorized gatherings by force. They drank while they partied, singing songs and taking pictures with visiting fans from other countries. After being eliminated from the tournament, Russia coach Stanislav Cherchesov summed up his team's success with military metaphors. "We feel like soldiers conscripted into the army," he said. "Today we got demobilized but I'd have wanted to keep serving and fighting. It's the case when demobilization leaves you disappointed. We'd like to have served our motherland on July 15 (in the final) but we didn't manage to do it." 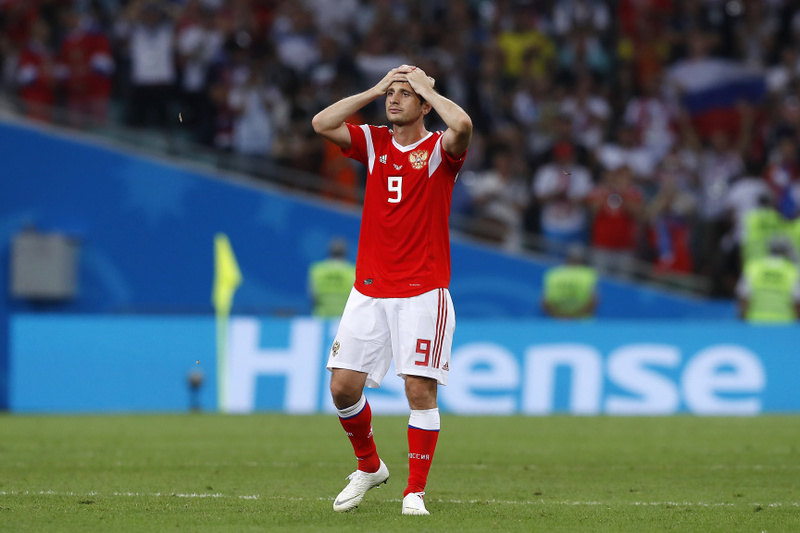 Russia forward Artyom Dzyuba talked often of "the fairy tale," and the fans responded with a giant banner for the Spain game urging them to "make the fairy tale come true." It ended on Saturday, barely, when Russia lost the shootout to Croatia 4-3. Russia is a country of vast potential in soccer, with a nationwide network of academies and big-spending clubs fueled by government money. But that's rarely translated into success on the field and opportunities have been missed. The last time Russia did so well at a major tournament was when it reached the semifinals of the 2008 European Championship. But the team didn't get past the group stage of any tournament for the next decade. Players like Andrei Arshavin and Roman Pavlyuchenko struggled to apply their obvious talent in Europe's biggest leagues. Denis Cheryshev was Russia's biggest star at this year's World Cup with four goals in five games. The Villarreal winger warned against complacency. "With what we've achieved now, we can't take a step back," Cheryshev said. "We need to move forward and I think we believed in our strength and in ourselves. The country believed in us and as a united whole we achieved good results, but we can't stop here and we need to keep striving for more." Ultimately, Russia beat Spain by playing ultra-defensive soccer more suited to a smaller European country like Iceland. Against Croatia, a country of 144 million people was the underdog to a country of 4 million. If that's going to change, Russian soccer may need reform — perhaps more players signed to foreign clubs like Cheryshev, sharing knowledge and experience from abroad. "Today we lost but it happened, nothing terrible," Cheryshev said. "The team gave everything it had to the cause and we can sleep soundly tonight."